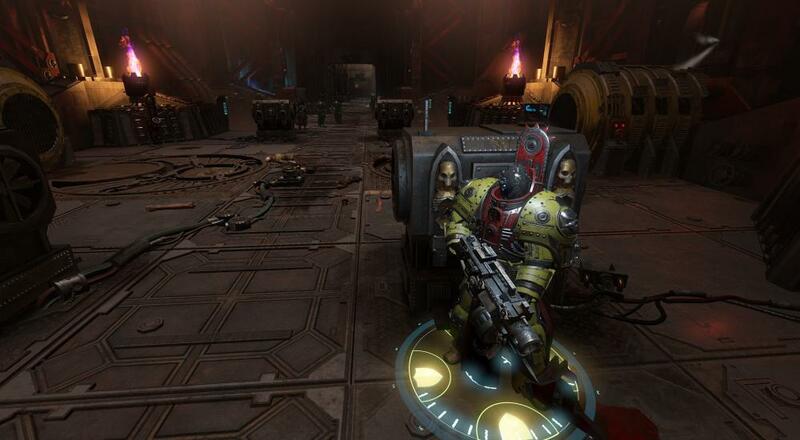 Neocore Games' Warhammer 40,000: Inquisitor - Martyr now has an official release date. The game will be officially released on PC, Xbox One, and PlayStation 4 on May 11, 2018. As a quick refresher on what this game is, it's an action-RPG title in the Diablo 3 vein where players will be able to choose a character class, level up and spend skill points in a skill tree, and kill foes to get loot. In its own unique spin, though, Inquisitor - Martyr goes beyond just that. Within the game, players are part of a group (the Inquisitors) that are tasked with rooting out Chaotic corruption and eliminating it with extreme prejudice. So while there are straightforward missions to complete (kill X enemies, or destroy these key things), there are also larger Investigations in which players can partake that will chain together several missions in mini-story arcs. There will also be seasons where all players contribute in some way to what happens within the sector. The title has been in Early Access on Steam since August of last year, and in that time, there have been a number of updates that have brought changes both big and small. If you hop into the game now, it definitely has a slightly different look and feel than it did last Fall. Running through just a few missions with the third and final class (Psyker,) I am hopeful and eager to see how this all turns out when it's fully released. I think Neocore has an ambitious vision for this game (a "living" galactic quadrant comprised of subsectors and solar systems that's influenced and shaped by the missions players undertake/complete) and one that works well within the scope of 40k as a whole. Hopefully these next couple months will allow them to apply the finishing touches necessary to ensure it sees some success across the various platforms. Warhammer 40,000: Inquisitor - Martyr will be released on May 11, 2018 on PlayStation 4, Xbox One, and PC. Four player online co-op will be supported in the various missions players can undertake.